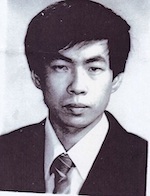 Yili Ding currently works at the School of Life Sciences, Foshan University. Yili does research in Biochemistry, Medicinal Chemistry and Organic Chemistry. Synthesis of 2’-O-Methyl-5-alkynyl and alkenyl Substituted Uridine Derivatives to Screen for Inhibitors of HCV.